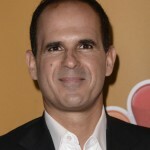 Marcus Lemonis gets into trouble. I haven’t been following this story due to a lot of more important things that have be handled but it’s looking like it’s really blowing up in Marcus’s face. The lesson here is that it’s best to avoid talk of politics and religion when it comes to business. Camping World is where we go to upgrade our RVs, to purchase our supplies, to re-up our Good Sam memberships. Well, no more. At least not this guy, and judging from the camp chatter, I am far from alone. In 2008 Max Kater founded Los Angeles-based Murchison-Hume a maker of non-toxic cleaning products. She was motivated by a desire to make cleaning products which her son wouldn’t be allergic to. As is normally the case with companies appearing on The Profit, Murchison-Hume is in crisis. The main reason for this is that Max creates products for herself not her market. Her husband, Peter, who has a day job is subsidizing the business with his income. This was a very good episode if you’re more into the business lessons than the drama. The Honest Foods catering company was launched in 1997 with three thousand dollars by Tad Devlin. Tad just has a natural flair for cooking and his food looks mouth-wateringly tasty. Honest Foods then grew into a company serving the film and television production business in Chicago. In recent months the its sales have dropped 30% and Tad is deeply worried. Hence the call to Marcus. Unfortunately the reason for the drop is never looked into nor explained. It would have been interesting to know why this is the case. In this fourth episode of the fourth season Marcus responds to an SOS call from Flex Watches of Los Angeles. Flex Watches was launched in 2010 by Trevor Jones and Travis Lubinsky who are childhood friends. The company is based around the schtick that it donates a percentage of its revenues to charitable causes. As for the product line itself, it’s a mile wide and consists mostly of cheaply priced models. In 2012 the company hit one million in revenues but sales have been plummeting ever since and the company is now stuck with half a million in non-moving inventory. Marcus Lemonis and the crazy Soup Market guy of Milwaukee, Wisconsin. This episode was a bit more interesting in a business sense than the first two of the fourth season, and I will explain why in a moment, but first things first. The Soup Market was launched by Dave Jurena in 2004 with a 50/50 business partner who died suddenly in 2015. The other fellow was the business brains behind the venture while Dave was and remains the cook.